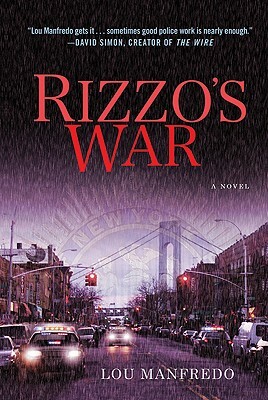 Rizzo's War, Lou Manfredo's stunningly authentic debut, partners a rookie detective with a seasoned veteran on his way to retirement in Bensonhurst, Brooklyn. "There's no wrong, there's no right, there just is." This is the refrain of Joe Rizzo, a decadelong veteran of the NYPD, as he passes on the knowledge of his many years of experience to his ambitious new partner, Mike McQueen. McQueen is fresh from Manhattan, and Bensonhurst might as well be the moon for how different it is. They work on several cases, some big, some small, but when they're given the delicate task of finding and returning the runaway daughter of a city councilman, who may or may not be more interested in something his daughter has taken with her than in her safety, the situation is much more complex. By the end of Rizzo and McQueen's year together, however, McQueen is not surprised to discover that even in those more complicated cases, Rizzo is still right--there's no wrong, there's no right, there just is. Rizzo's War introduces us to a wonderful new voice in crime fiction that rings with authenticity, is full of personality, and taut with the suspense of real, everyday life in the big city.